I’ve been to the motherland: Scotland. Well, by all accounts, I’m actually of Irish descent. I married a “Mac” though, so, let me have this one. After a whirlwind trip that wound though Edinburgh, Inverness, Loch Ness, Culross, Stirling, Doune, Pitlochry, Glasgow and at least 20 small communities that were stunning places to be lost in (blasted rotaries), it all led my sister, three friends and I to one, very important, place: Runrig’s Last Dance — a two-night concert event held at the base of the centuries-old Stirling Castle, marking the end of the Scottish band’s 45-year journey. Led by none-other than Cape Breton’s own Bruce Guthro, the concert was like no other I’ve witnessed. Perhaps you’re like me, you knew that Bruce sang in a band in Scotland. Perhaps you’re also like me and didn’t grasp the magnitude of the behemoth that is Runrig and the Tartan Army (as their loyal fans are called). Well, let me tell you: I will never forget after tonight. 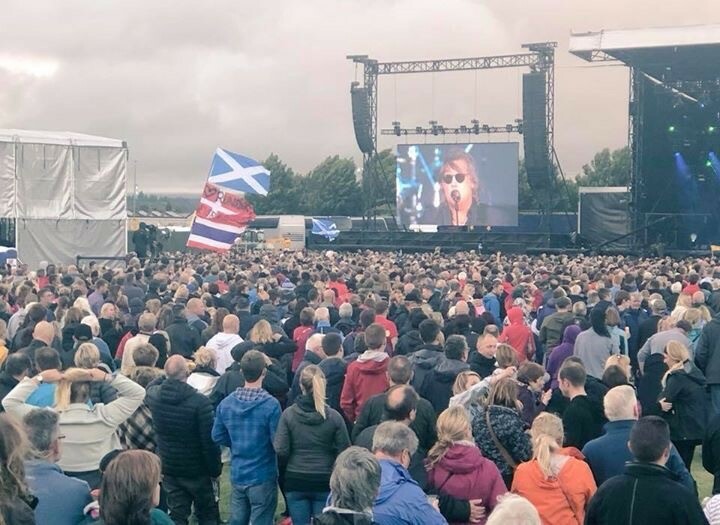 The lights, the setting, the crowd (47,000), the music — but nothing compared to the voice and command that Bruce brought to that massive stage, and the impact he had on all those who gathered to say goodbye and thank Runrig for the role the band played in their lives. Admitting that his initial outings with the band were rocky at best, Bruce brought nothing to the stage tonight but charisma, talent and love for the county that allowed him to lead a musical institution for nearly 20 years. First, the setting: the earliest pieces of Stirling Castle date from the 12th century, and Mary Queen of Scots was crowned there. The castle was more than a stunning, historically-rich backdrop though; the castle was an extension of the stage. At one point, by casting a light onto the side of the ancient stronghold, the Tartan Army was serenaded by the larger-than-life shillouette of Donnie Munro — Runrig’s original lead singer and guitarist before Bruce joined the band in 1998. Donnie left Runrig to pursue a career in politics, but was welcomed back to the stage and the band, as an opening act as well as to sing a few numbers. It’s true, the impact of Runrig is felt well-beyond the borders of Scotland. It’s even here at home without us even knowing it. As I watched a couple — one wrapped in a Cape Breton flag and the other donning an Colaisde na Gàidhlig / The Gaelic College hat — hook arms with other dancers in the crowd, weaving their way closer to the stage, I knew that the beats of Runrig could be felt in many of the tunes that call us home. Each year, as Bruce shares his insights with artists through his Song Writers’ Circle events, he takes a more direct approach to injecting this sense of Scottish culture into up-and-coming artists. Based on my experience, any person participating in these popular Nova Scotian events should lap up the opportunity to learn what they can from the Runrig frontman. Onto the next element: the production. If the castle wasn’t enough, the lasers, smoke, fire, giant screens, lights, set-up and thoughtful site work was the stuff of dreams. My little rag-tag crew had been to big names like Madonna, Ed Sheeran and Aerosmith in venues in cities including London, New York and Quebec City — this was better. There truly wasn’t a detail overlooked. From the transitions between songs that kept you continuously surprised about who would pop up next — like Julie Fowlis, the voice of Disney’s Princess Merida (yes, really) — to the film-style close ups on Bruce and the other band members that made it feel like you were part of a music video shoot (there has to be a biography film being made). They even managed to make the shuttle busses and food lines a smooth process. That alone deserves a positive review. Throw in the mesmerizing solos from uber-talented guitarist Malcom Jones, a drum line that rivals DRUM! and a choir, and you have yourself a performance for the history books. Finally: the fun. I have never seen a group of people (let alone a group of that size) enjoy a concert so much. As the rain came, and went, and came and went again (it is Scotland after all), they danced and stomped. They sang and took photos. Some cried, but mostly they smiled and laughed as they soaked up the experience. Everyone was so happy. While it was clear that no one wanted Runrig to retire, they all were grateful for the opportunity to say goodbye and hear their voices one last time. Me too. What an experience. You did Cape Breton proud Bruce. Thank you and all the best on your retirement - on that side of the pond anyway. 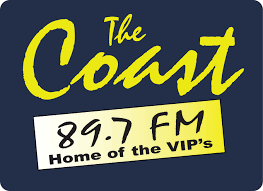 Posted by Niki Toomey on goCapeBreton.com where you can find and share everything about your local community. Great article, Niki! Thanks so much for sharing your experience with the fans in Cape Breton. Great article and a pretty impressive concert to attend! Lucky you! All the best to the ' retirees' in Scotland!